I now understand where the saying “April showers bring May flowers” comes from…Paris! Despite the flooded and lackluster April month, May has brought sunnier days and beaucoup festivities. It’s no secret that Paris is full of sweet surprises. It’s also no secret that my stomach acts as my brain. So it’s safe to assume that most of my discoveries are made with the use of my super sensor. On this particular day, my nose led me to La Fête du Pain. In celebration of Sainte-Honoré, the saint of bakers, 7-day Bread Festivals are held France-wide to honor the country’s staple food. 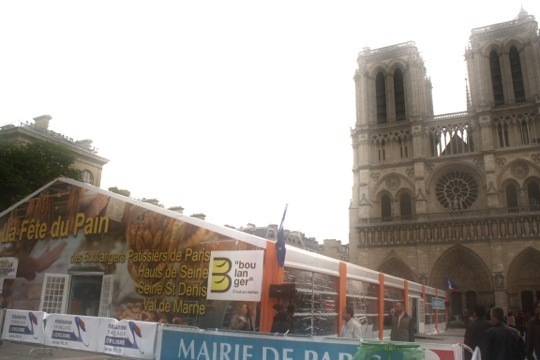 This year, from May 14-20th, such a festival was held in front of the magnificent Notre Dame Cathedral of Paris. 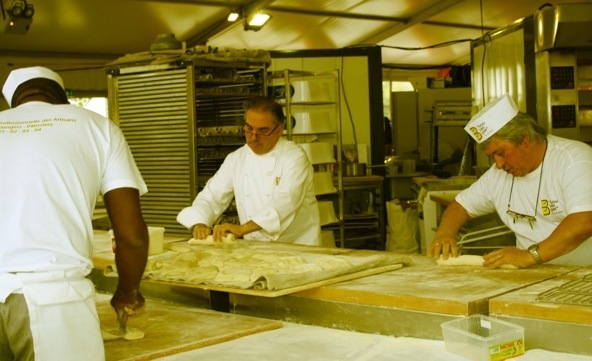 With the crisp sent of fresh bread invading large white tents, baking professionals came out to show off their skills and share their delicious creations. 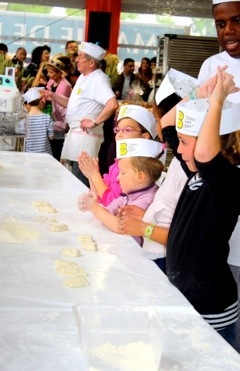 On one side of the tent, cute French kiddies sported paper hats as they rolled out the dough for their own sweet treats. On the opposite end was a rose making station. 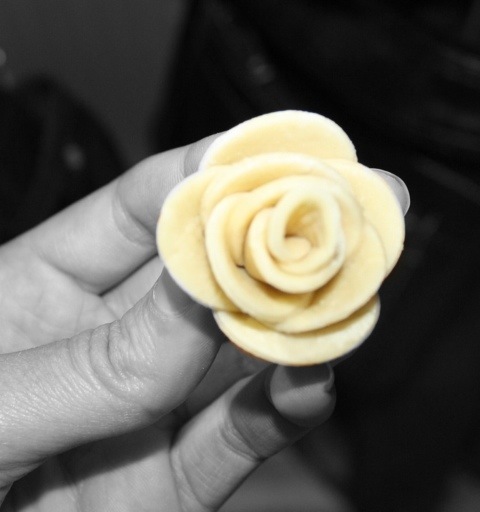 Grab a dough circle, dab on some water, and start petaling away to create an enchanted dough rose. 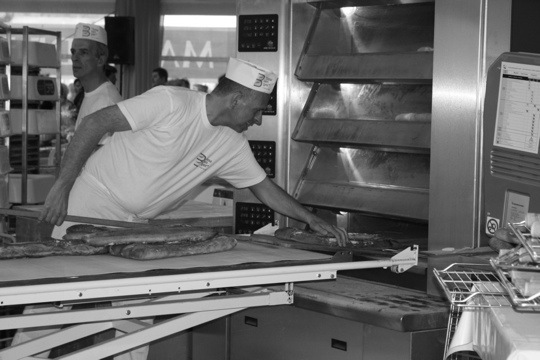 And in the center of all the action is where the art form could be seen rising to life in bread ovens. From inside the bread factory to the outside stalls selling the finished products, this festival was a party for the eyes, the nose, and the taste buds! Continuing the cultural celebrations around France and all of Europe was the 8th annual Nuit Européen des Musées. Hundreds of museums offered free entry and alluring events from dusk-1am on Saturday, May 19, 2012. And Paris did not disappoint with its night at some of the most prestigious museums known throughout the world. With over 200 choices and less than 7 hours to museum hop, pre-planning was essential. 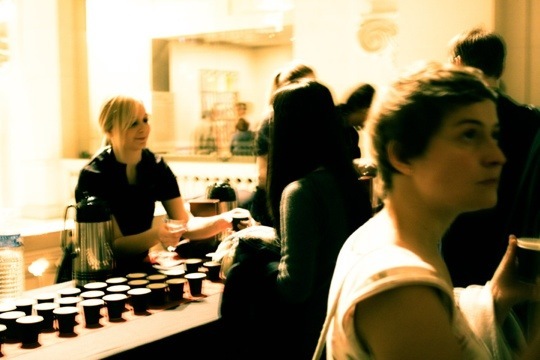 The options were endless with events that suited all interests! A treasure hunt through Musée des Arts et Métiers, glow paint and games at Musée National du Sport, an American folk music concert at Musée de la Musique, planetarium shows at Cité des Sciences et de l’Industrie. There really was something for everyone. And free coffee tastings at Les Arts Décoratifs proved beneficial for sleepy museum hoppers with a busy night ahead! These are two of the several events that happen only once a year. 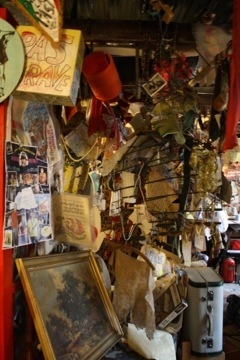 The beauty of living in Paris versus merely visiting are the rare opportunities to embrace local culture. The art of baking and exquisite masterpieces goes beyond what is seen in patisseries and the Louvre. To see firsthand the work that goes into baking one fresh baguette from the early hours of the morning allows one to understand why it is said the only good bread is ‘Traditional French Bread’. To experience a night where museums come alive under the vibrant city of lights embellishes the ideals of Paris. Most importantly, such spectacles open the door to the dynamic world of French art and culture. Urban Pulse app– This app is available for iPhone, iPad, and Android phones. It allows you to find events and deals all around Paris and other cities around the world. During Nuit des Européen Musées, this app allows you to find when and where all events are happening, the wait time for each, and more.